Regular soap can dry out or irritate the skin. 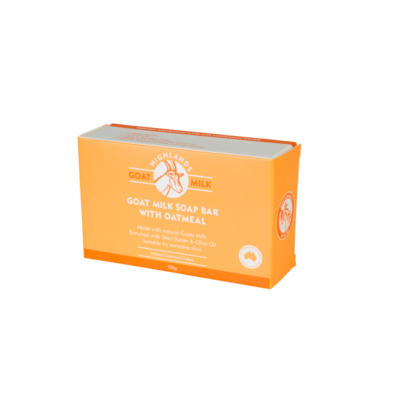 Highlands Goat Milk Soap has a gentle creaminess that is especially beneficial for dry, itchy or sensitive skin. Made with natural, sustainable ingredients. 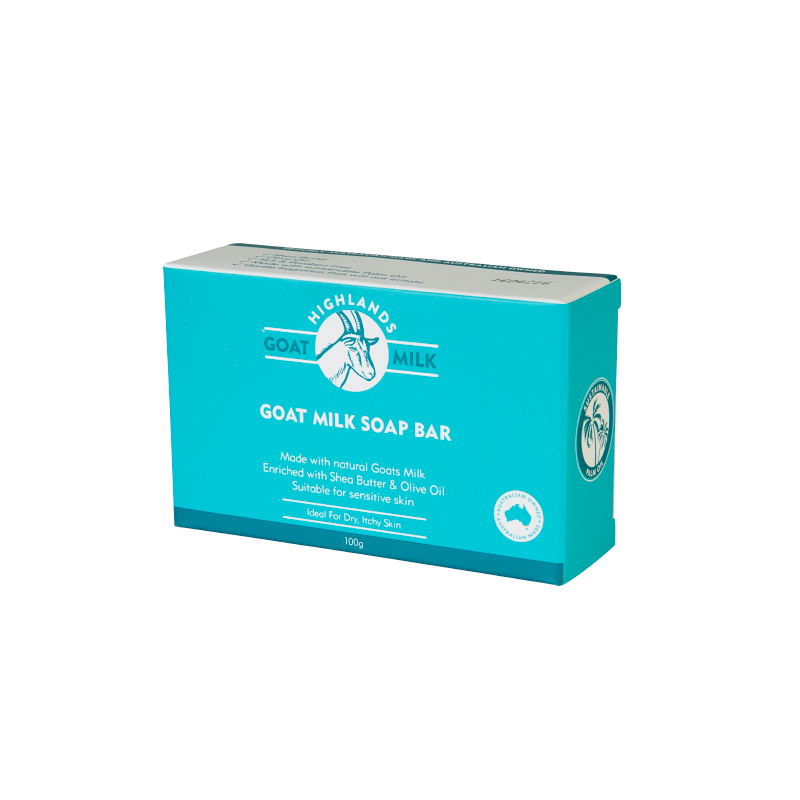 Highlands Goat Milk Soap leaves skin feeling soft, smooth and moisturised. 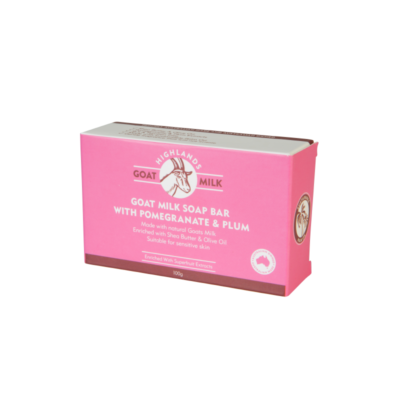 Goat Milk has a pH level close to that of our own skin and contains natural sources of amino acids and vitamins that may assist with treating dry, itchy, irritated skin, sensitive skin and eczema. Best soap for dermatitis and smells amazing. First bar soap I’ve found that doesn’t flare up skin irritations, lasts longer/doesn’t disintegrate in the soap dish, and has a lovely soft vanilla-like and natural fragrance. I highly recommend it.